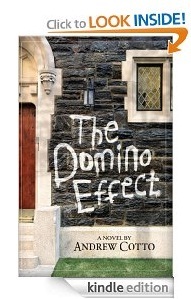 Indeed, The Domino Effect is a fast-paced and powerful story. And I mean, totally. You would think that a coming-of-age novel will be dragging and boring for most parts but not for this one. It is a journey that I think everyone should know or read about. It’s one of those stories that will surely make you think about your own life, what you did, why you chose a certain path. It will make you think about things – things that actually matter and the ones that will have an impact (good or bad and the awkward in-between). The main character here is a teenage boy named Danny ‘Domino’ Rorro. I like him. I mean, he’s not perfect. He’s flawed but that’s normal. I liked how the author created him to be like that. A normal kid, one that has experienced a lot during the start of his teenage years but still was able to make a difference. The rest of the characters are all fine. It makes sense that they are included in the story. I didn’t like the wrestlers though. They are mean (being a wrestler doesn't necessarily give you the right to be mean :) ) and regarded themselves as people of importance. Right there… I got carried away again. This just shows how effective the characters are in this book. I loved how the story ended. It’s not at all perfect but it’s close to it. It’s realistic and I’m sure, you’ll agree with me once you've finished reading the book yourself. To sum it up, The Domino Effect is a really fantastic read. For a coming-of-age novel, this one will not disappoint. You’ll see the transformation that needs to be delivered. I love that the characters the author created are effective and that the storytelling was entertaining. 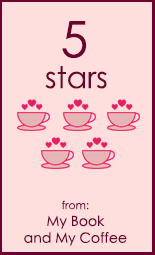 To all my readers, friends and visitors, you have to check this one out! Andrew Cotto is a writer and teacher who lives in Brooklyn, NY. He is the author of two novels: The Domino Effect is a coming-of-age story about a kid from Queens with a damaged past and a complicated present at a boarding school in rural New Jersey; Outerborough Blues: A Brooklyn Mystery is an unconventional noir about a drifter seeking a missing person and a remedy to his family’s curse in the dawn of urban gentrification. His novels are represented by Dunow, Carlson and Lerner Literary Agency. Andrew’s articles have appeared in many national journals, including the New York Times, Men’s Journal, Salon, the Good Men Project and Teachers & Writers Magazine. For the past six years, Andrew has taught composition courses and creative writing workshops in New York City. He has an MFA in Creative Writing from The New School and a BA in Literature from Lynchburg College. Find Andrew Cotto on Facebook, Twitter and Goodreads.